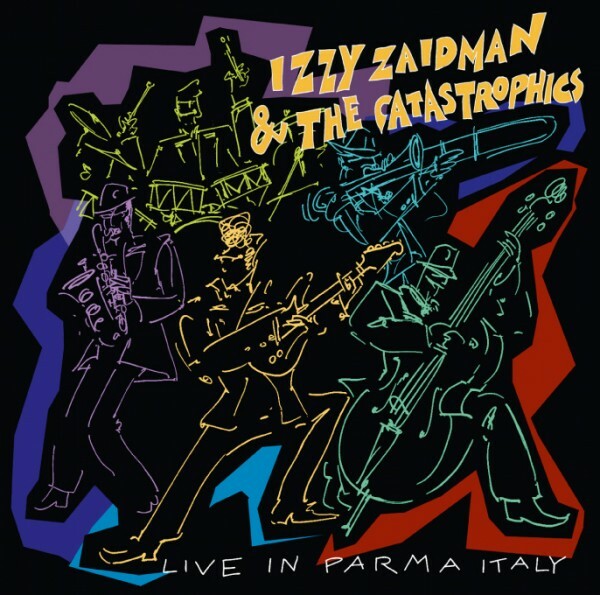 Produktinformationen "Izzy & the Catastrophics - Live in Parma, Italy"
New Live-Album from Izzy & the Catastrophics "Live in Parma, Italy" available now! GMO -The Label has released the album „Live in Parma“ of exceptional musician Izzy Zaidman and his band The Catastrophics on May 10, 2013 europeanwide as CD and download album. The album is distributed in physical and digital form by GMO's partner Rough Trade Distribution. “Live in Parma” is made up of Izzy's exceptional mix of rock' n roll, rockabilly, jazz and American roots music. Even some songs of legendary gypsy jazz guitarist Django Reinhard are being reinterpreted by Izzy and his band in their own, unique style. If Izzy & The Catastrophics would have been the band on board the Titanic their music would have made the iceberg crack into cubes for the drinks of the passengers on board. Weiterführende Links zu "Izzy & the Catastrophics - Live in Parma, Italy"
Kundenbewertungen für "Izzy & the Catastrophics - Live in Parma, Italy"